If you thought getting your children to go to sleep wasn’t difficult enough, try your hand at Putting The Monkeys to Bed. 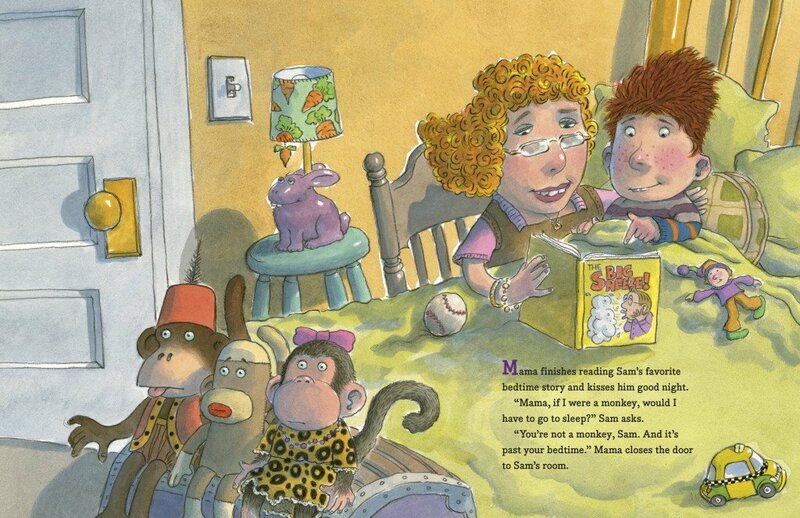 This new picture book by popular children’s author, Gennifer Choldenko, is a whimsical tale of nighttime shenanigans started by young Sam’s active imagination and perpetuated by a trio of plush merry-making monkeys. 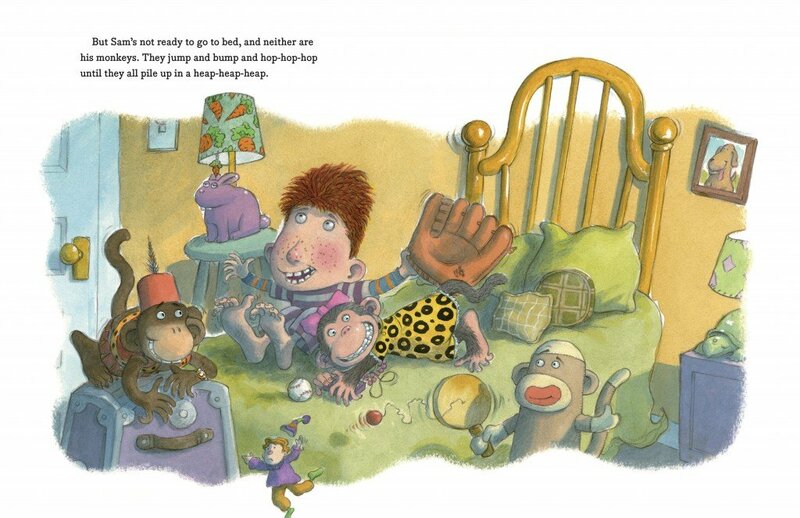 Interior artwork from Putting The Monkeys to Bed by Gennifer Choldenko with illustrations by Jack E. Davis, G.P. Putnam’s Sons. ©2015. Do pirates sleep with their eye patches on? Do fish go to bed in their bathing suits? Where do baseball players sleep at night? Parents, if you and your kids are still awake after this wonderful wind down, check out the humorous author’s note at the end with answers to Sam’s questions posed above. I also recommend going back through each spread to enjoy all the details Davis has included. Then, if yawns and heavy eyelids are still not evident, you can always try singing a lullaby, but somehow I think that won’t be necessary. 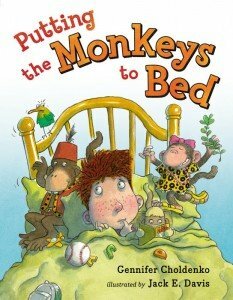 Look for satisfied smiles all around as little ones drift off to dreamland when you share Choldenko’s Putting The Monkeys to Bed tonight. Be An American Girl All Summer Long With Read-A-Palooza & An Exciting Book Giveaway!